The prestigious World Poker Tour Session IX is heading to Florida. 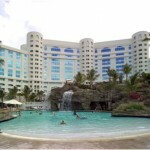 It will take place on April 27 to May 3, 2011 at Seminole Hard Rock in Hollywood, Florida. At last, the much anticipated tie up between WPT and Seminole Gaming happens, making it a perfect poker event for poker enthusiasts. Really then, just what makes this tie up so remarkable especially in the world of poker? How did it come to be? 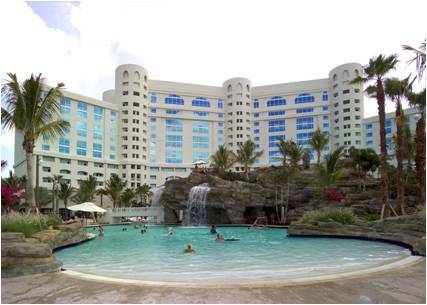 Seminole Hard Rock is loaded with great and exciting facilities for a vacation holiday. Entertainment and relaxation never ends; ranging from a relaxing dip on the pool, spa and toning the body in the hotel’s fitness center – Seminole has everything you’ve been dreaming of for a perfect getaway. But, Seminole Hard Rock is not just a top recreational destination. It has been ranked among the top poker destinations in the East Coast. Florida has long been a favorite vacation getaway due to its proximity to beautiful beaches, dynamic nightlife, endless entertainment portals, and recently, 24-hour poker rooms. Seminole Hard Rock casinos has been renowned for its Vegas-style slot machines, over a hundred of Blackjack tables and poker tables coupled with bars, world-class restaurants, nightclubs and fantastic hotel accommodation in Seminole Hotels. State law amendments – These changes paved the way for removing some restrictions on poker games which include tournaments and allow more relaxed rules concerning poker playing hours. Thus, Seminole casinos poker rooms will now be open 24/7; employing over 10,000 people and generating billions which is a significant contribution to Florida’s economic activity. WPT tournament – Since the lifting of some restrictions concerning poker games in Florida, Seminole casinos spread throughout the state became the favorite spots for poker tournaments. For this year’s WPT Season IX, it will be happening in Seminole Hollywood, Florida and will be televised throughout the state. The WPT Seminole Hard Rock tournament will be a 5-day poker event with $9,600 plus $400 buy-in and players will start at 30,000 tournament chips. Although poker events happen every week in Seminole casino rooms, the upcoming WPT brings an all-new level of thrill and cleverness to the poker rooms of Seminole casinos. As Seminole tribe joins forces with WPT, Florida is not just a favorite vacation destination but poker favorite throughout United States. With the world-class Seminole hotel and casinos, the next World Poker Tour Seminole Hard Rock will definitely be another success.